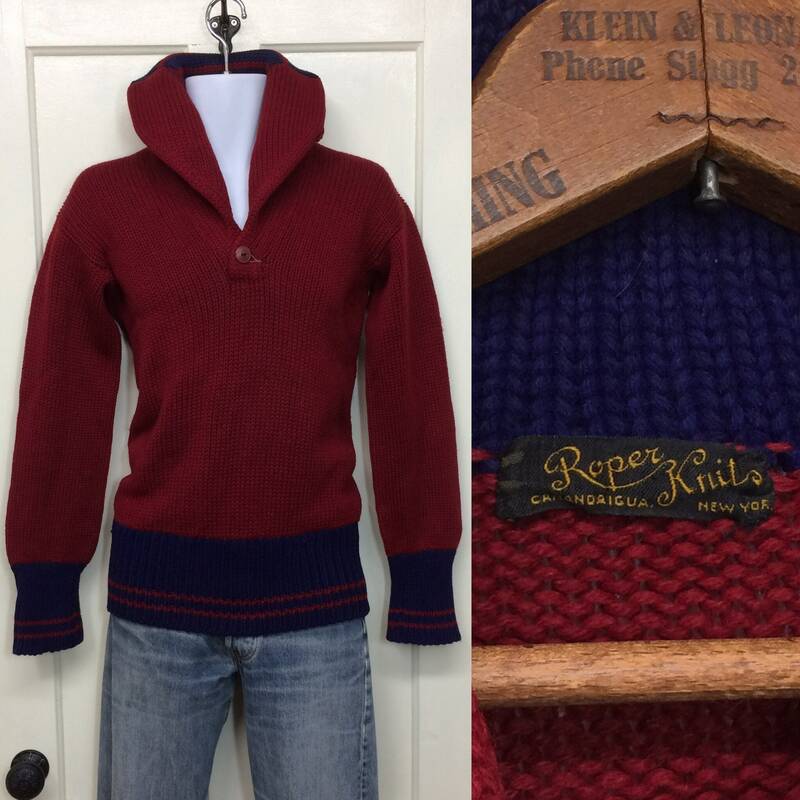 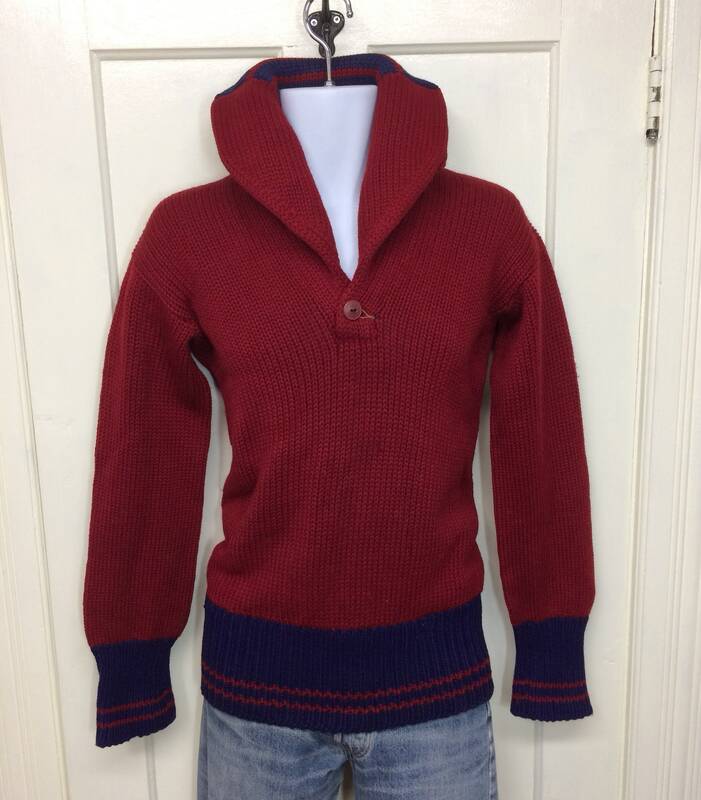 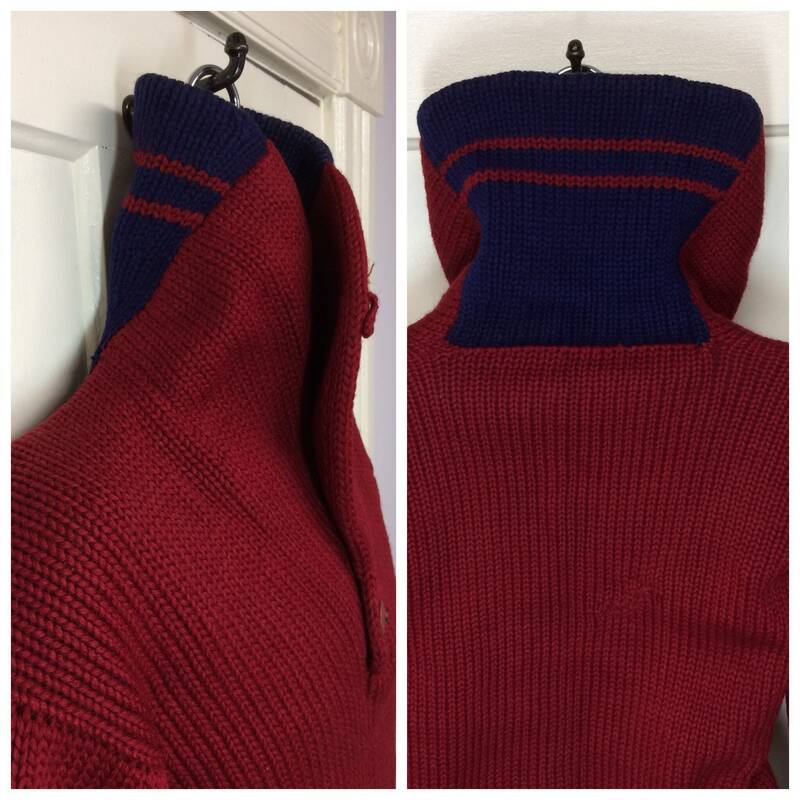 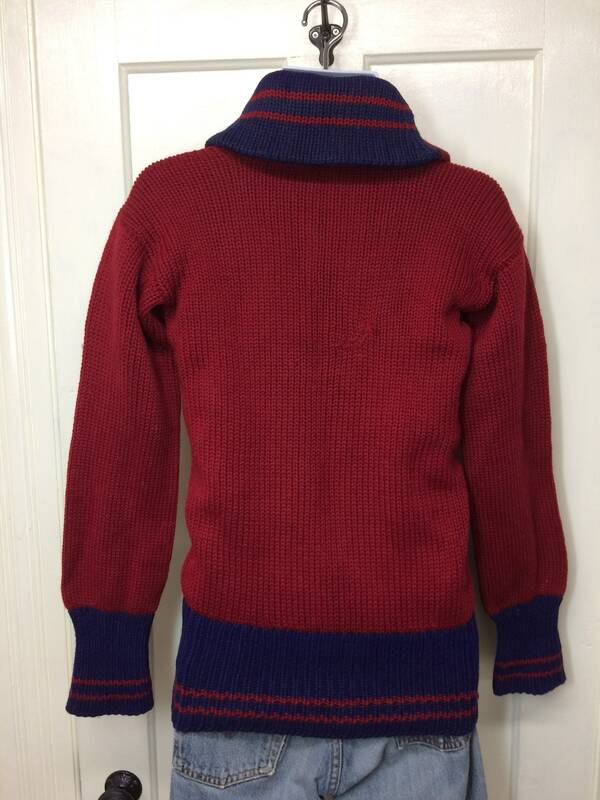 Here's a burgundy and dark blue thick wool pullover sweater from the 1920's - 30's. 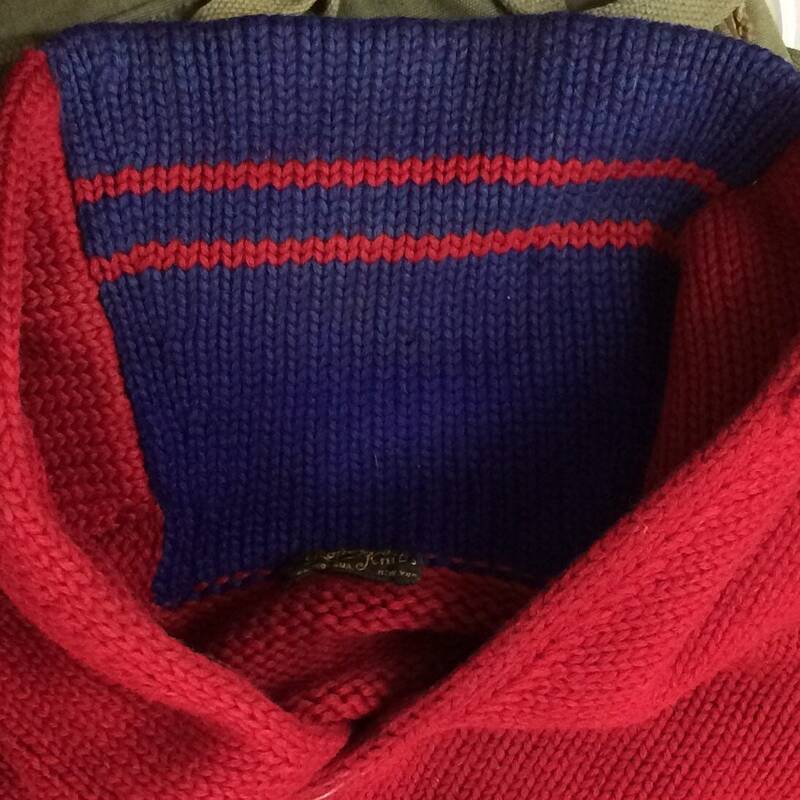 The collar is double thick with a loop on the left side. 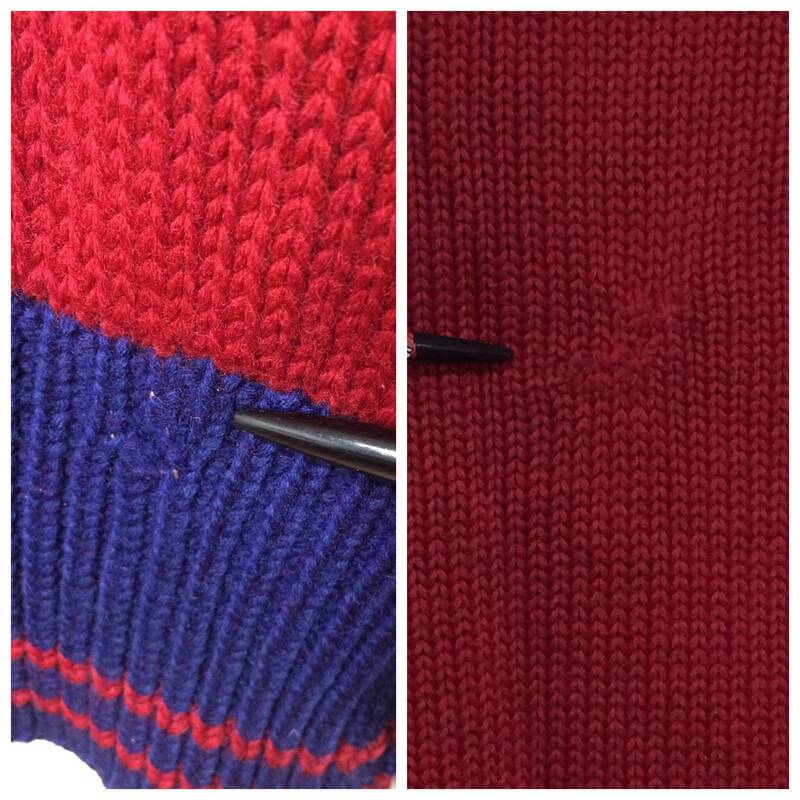 The button for the loop is missing. 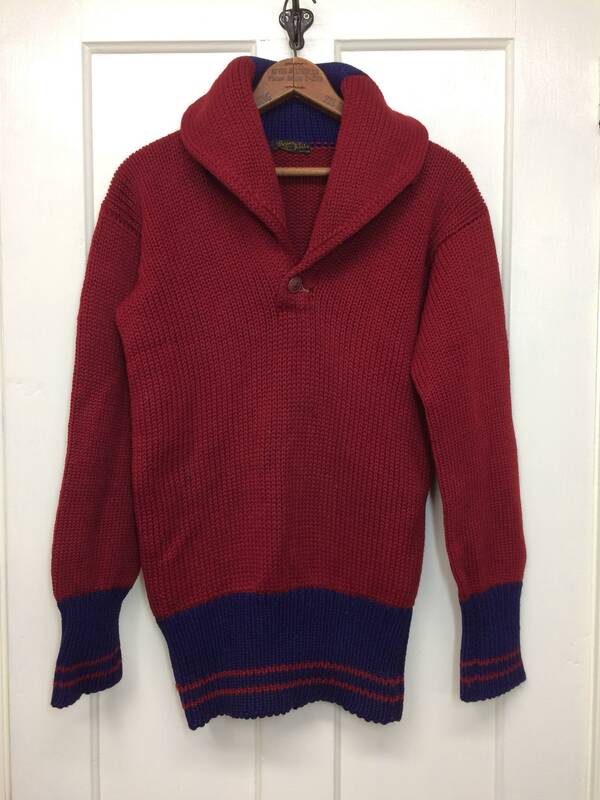 The button at the base of the neck is bakelite which is faded. 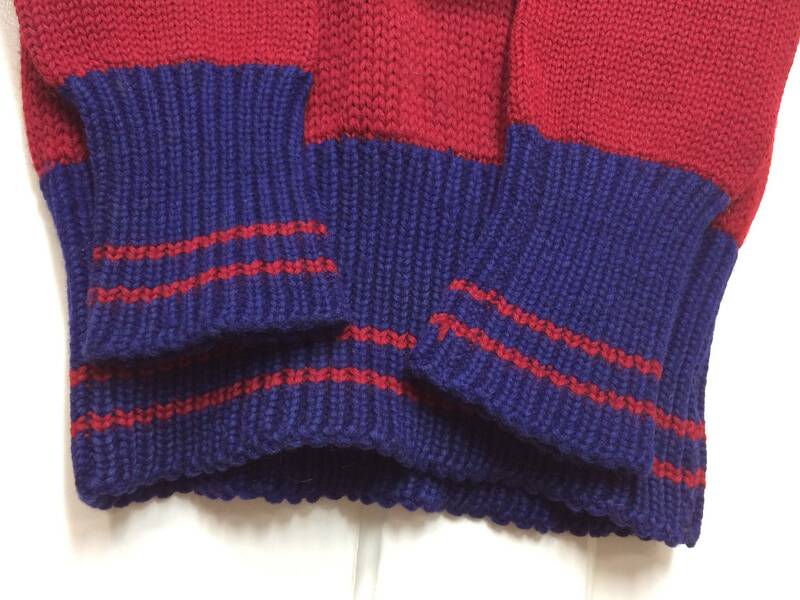 There's a repair in the bottom cuff and a 2" repair in back. 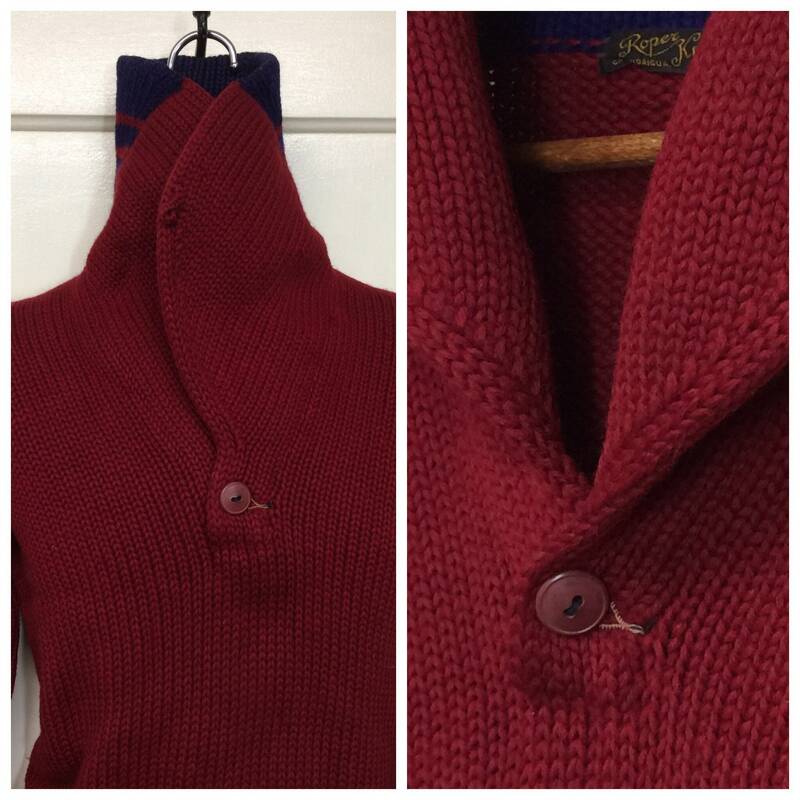 There's slight discoloration on the back of the collar, an occasional snag or worn spot. 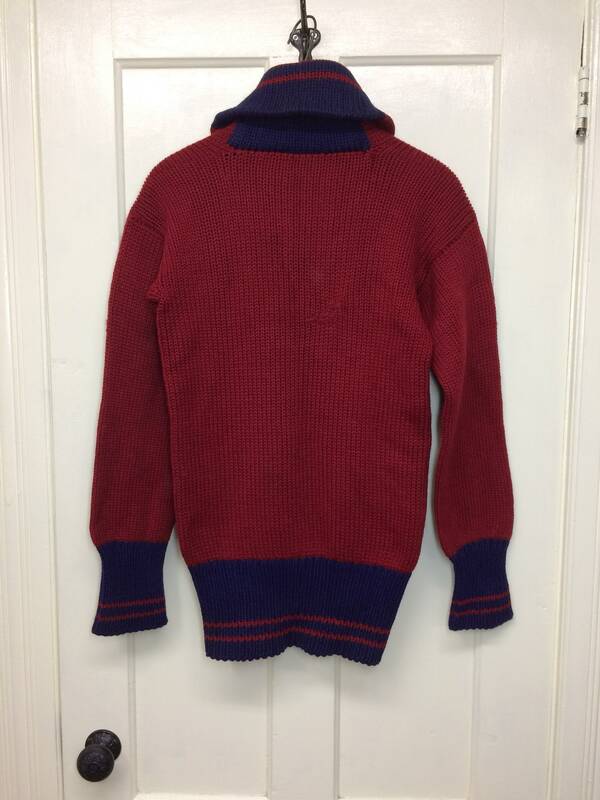 It's in amazing condition for it's age.